Volatile gas oil prices, Middle East instability, and environmental concerns have all fed the development of electric vehicles in general and electric cars in particular. In Canada, electric vehicle sales nearly doubled in 2017 over 2016 and that trend is only expected to accelerate. Up to this point the biggest stumbling block to the widespread adoption of electric vehicles has been the lack of ready access to recharging stations. Your electric car won’t do you much good if the battery dies on the TransCanada Highway west of Spragge. In response to criticism that the government has been slow to embrace EV technology and its benefits the Ontario government’s Ministry of Municipal Affairs has enacted modified guidelines regarding the availability of charging stations in residential and non-residential buildings. What is 2018 Ontario’s New EVSE Regulations? What is $1,000 EVSE Installation Rebate? What is Ontario Municipal Building Code Regarding Electrical Vehicle Supply Equipment (EVSE)? Do the new requirements apply to all residential building permit applications submitted after January 1, 2018? What are those transitional provisions? What types of residential buildings do the new requirements apply to? Do the new regulations apply to existing homes or renovations already in progress? If my new house has multiple parking spaces do they all need to be equipped with charging stations? If a new row house has a dedicated carport or a driveway is it subject to the new regulations? What if new row houses are served by a common lot or a separate parking structure? Do the new regulations still apply? Do the new regulations apply to back to back or stacked row houses? With some townhouses a dedicated garage is located across the laneway. Is such a garage subject to the new regulations? Who will be responsible for enforcement of the new regulations? When do the new regulations come into effect regarding non-residential buildings? Do all permit applications submitted after January 1st need to be in compliance with the new regulations? What percentage of parking spaces in non-residential buildings are required to have EVSE installed? What non-residential buildings are subject to the new regulations? Do the regulations apply to existing buildings or buildings currently undergoing renovation work? Do the new regulations apply to roof parking in non-residential buildings? What about non-residential buildings that have no employee parking, like hospitals? What if the owner of the non-residential building supplies receptacles in 20% of the spaces? Is the OESC also specific about where this apparatus must be located? Does electrical capacity need to be supplied to the remaining 80% of parking spaces to prepare for possible future EVSE installation? What about mixed use buildings that have both a commercial and residential component? Do the new regulations apply to parking spaces in surface lots away from the non-residential structure? Who pays for the electricity used by these charging stations? Are building owners compelled to provide electrical charging stations for all handicapped spaces or spaces where buses or other large electric vehicles park? Do the regulations stipulate how the EVSE enabled spaces must be distributed within a parking structure? Who will be enforcing the new regulations? How do the New Regulations Impact Licensed Electrical Contractors? What constitutes electric vehicle supply equipment? Do the new regulations stipulate precisely where conduit and the termination of conduit for EVSE must be located within a given garage? How much leeway does the building owner have when it comes to supplying EVSE? What are the different charging levels? The new regulations stipulate that the remaining 80% of parking spaces need to be designed to accommodate future charging. What exactly needs to be provided to ensure these spaces are in compliance with this rather vague sounding directive? Because the number of electric vehicles on the roads of Ontario is growing at such a rapid pace it was only a matter of time before the provincial government took steps to address the issue. 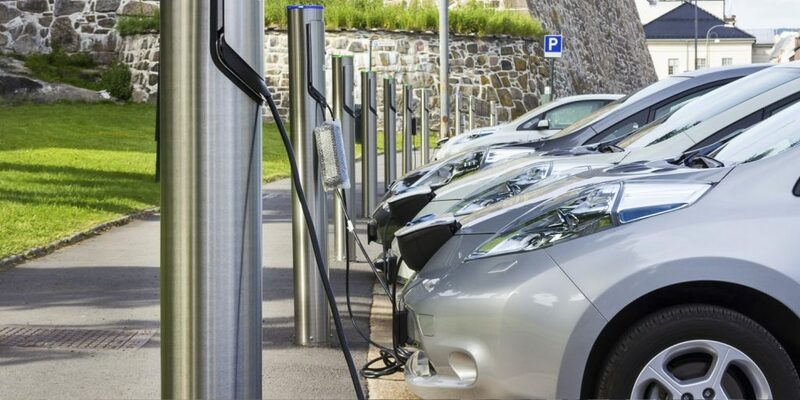 In their recent building code modifications they seek to facilitate the adoption of EVs by compelling developers, property owners, and businesses alike to equip up to 20% of their parking spaces with electric vehicle charging stations. In addition, the new codes which came into effect on January 1, 2018 state that all remaining spaces must be designed in a way that enables future charging station installations. 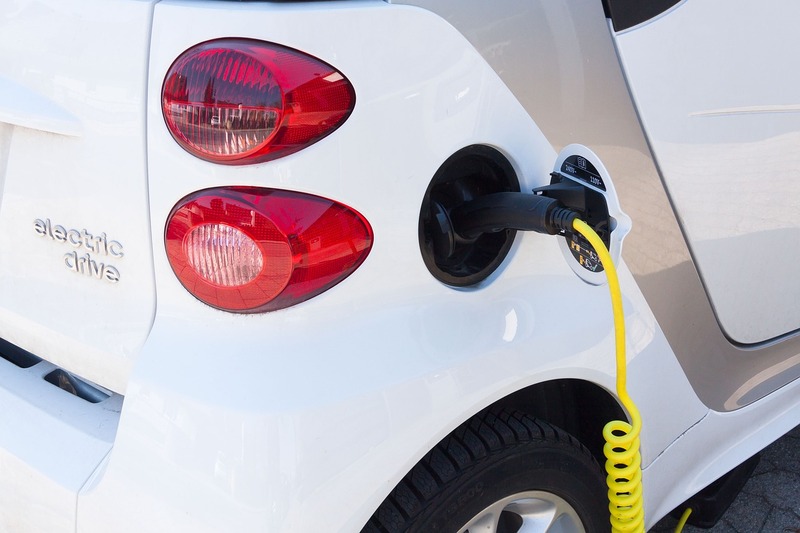 While the new regulations only cover new construction, the provincial government has sweetened the pot for owners of existing homes by offering a rebate of $1,000 to homeowners who retrofit their garages with EVS equipment. The rebate is designed to cover up to $500 of equipment purchase and installation costs for a potential rebate total of $1,000. For the most part EV champions across Canada have welcomed these latest developments as long overdue given what we now know about the environmental hazards of fossil fuel dependence. While the latest code revisions and rebate programs seem to be a firm step in the right direction they have generated as many, if not more, questions than they have answers. So below we’ll attempt to provide as many answers as we can regarding these important EV-related developments. On January 1, 2018 changes to the Ontario Municipal Building Code regarding electrical vehicle supply equipment (also known as EVSE) came into effect. These changes were made by the Ontario government’s Ministry of Municipal Affairs in response to the fact that the number of EVs on the roads of the province have been growing by leaps and bounds in recent years. Here we’re going to take you through the most commonly asked questions about the new code modifications for both residential and non-residential structures. Although the topic can lend itself to extremely dry recitations of arcane information we’re going to try and keep the language here as clear and concise as possible. Let’s begin with how the new regulations impact residential structures, including detached homes, semi-detached homes, and row houses. Many people were surprised to discover that the new regulations cover residential as well as non-residential construction. Whether you believe the new residential guidelines to be fair or just another example of regulatory overreach they are here now and must be complied with. Below are some of the most common questions regarding the new EVSE regulations for residential construction.Q: When do these changes come into effect? A: The changes came into effect January 1, 2018. If you are reading this article then they already in effect.Q: Do the new requirements apply to all residential building permit applications submitted after January 1, 2018? A: Most, but not all. Transitional provisions may apply to certain building permits filed before January 1, 2020. After that point the new regulations will apply to all new permit applications. Q: What are those transitional provisions? A: The transitional provisions may apply if the permit applicant has an electrical utility infrastructure plan for a new house served by a garage, carport, or driveway and that plan has already been approved by an electrical distribution company prior to January 1, 2018. The transition provision may also apply if the building permit applicant has a prior agreement from the distribution company to connect the new building before January 1, 2020. Q: What types of residential buildings do the new requirements apply to? A: Detached, Semi-detached, or Row Houses (Townhouses) served by a garage, carport, or driveway that does not qualify for the transitional provisions as laid out above. Q: Do the new regulations apply to existing homes or renovations already in progress? A: No. Existing homes currently undergoing already approved renovations are exempt from the new regulations. Q: If my new house has multiple parking spaces do they all need to be equipped with charging stations? A: No. Only 1 space per house will need to be energized to comply with the new regulations. Q: If a new row house has a dedicated carport or a driveway is it subject to the new regulations? A: Yes. As long as the electrical infrastructure of said garage or carport is connected to the row house it is intended to serve. Q: What if new row houses are served by a common lot or a separate parking structure? Do the new regulations still apply? A: No. The new regulations do not apply to either common surface lots or separate but dedicated parking structures for row houses. In addition, no determination has yet been made on situations where common parking is included inside an apartment building. Q: Do the new regulations apply to back to back or stacked row houses? A: It depends. In some cases certain row houses within a development may have a dedicated garage. If the electrical system of that garage or carport is connected to the unit it’s intended to serve, the new regulations will likely apply. Q: With some townhouses a dedicated garage is located across the laneway. Is such a garage subject to the new regulations? A: It may be if the electrical system of the garage is connected directly to the townhouse it’s intended to serve. Q: Who will be responsible for enforcement of the new regulations? A: The building inspector is responsible for making sure the required EVSE has been installed in the new home. The electrical inspector is then responsible for ensuring the installation complies with the Ontario Electrical Safety Code. As you can see when it comes to residential structures there are quite a few things to consider regarding implementation of the new regulations. Unfortunately, the number of considerations is no less daunting when it comes to non-residential buildings. Here are common questions builders and electrical contractors have regarding commercial buildings and the new EVSE regulations. Q: When do the new regulations come into effect regarding non-residential buildings? A: As with residential buildings the regulations pertaining to non-residential buildings came into effect on January 1, 2018. Q: Do all permit applications submitted after January 1st need to be in compliance with the new regulations? A: Not necessarily. As with residential buildings the new regulations for non-residential buildings include certain transitional provisions. If these provisions are met and the permit is applied for before January 1, 2020 the new regulations would not apply. A: They are essentially the same as the transitional provisions for residential structures. That is, the provisions may apply if the permit applicant has an electrical utility infrastructure plan for the new building that has already been approved by an electrical distribution company prior to January 1, 2018. The transition provision may also apply if the building permit applicant has a prior agreement from the distribution company to connect the new building before January 1, 2020. Q: What percentage of parking spaces in non-residential buildings are required to have EVSE installed? A: 20%. Not all EVSE is identical but 20% of all spaces must have some form of EVSE that is in compliance with the new regulations. Q: What non-residential buildings are subject to the new regulations? A: All non-residential buildings that have parking integrated into the building design. Q: Do the regulations apply to existing buildings or buildings currently undergoing renovation work? A: No. Existing buildings or those currently undergoing renovation work are exempted from the new regulations. Q: Do the new regulations apply to roof parking in non-residential buildings? A: Yes. Roof parking is subject to the new regulations. Q: What about non-residential buildings that have no employee parking, like hospitals? A: Such non-residential buildings are still subject to the new regulations. Q: What if the owner of the non-residential building supplies receptacles in 20% of the spaces? A: A receptacle only is not sufficient. The Ontario Electrical Safety Code (OESC) is quite specific regarding the type of apparatus that must be installed. Q: Is the OESC also specific about where this apparatus must be located? A: No. OESC guidance only states that the apparatus must be easy for the electric vehicle to couple with. The building inspector will determine if this criteria has been met in 20% of the spaces and the electrical inspector will determine whether or not the apparatus meets OESC requirements. Q: Does electrical capacity need to be supplied to the remaining 80% of parking spaces to prepare for possible future EVSE installation? A: No. What needs to be incorporated into a new building is the ability to easily add capacity to those spaces should it be required by later code revisions. Because of the vagueness of this stipulation whether or not the builder is in compliance with this aspect of the new regulations will largely be up to the building inspector to decide. Q: What about mixed use buildings that have both a commercial and residential component? A: In such cases 20% of the parking spaces reserved for commercial purposes must have EVSE installed. As there are currently no EVSE requirements for apartment buildings the new regulations would not apply to spaces set aside for residential use only. Q: Do the new regulations apply to parking spaces in surface lots away from the non-residential structure? A: No. Only to parking spaces inside the non-residential or mixed use building. Q: Who pays for the electricity used by these charging stations? A: There is no provision in the new regulations stating who is responsible for payment. The owner of the non-residential building will need to determine who pays. Some charging stations are designed to accept payment, others are not. Payment details will need to be worked out on a case by case basis. Q: Are building owners compelled to provide electrical charging stations for all handicapped spaces or spaces where buses or other large electric vehicles park? A: No. They may choose to but they are not specifically required to. Q: Do the regulations stipulate how the EVSE enabled spaces must be distributed within a parking structure? A: No. Just that 20% of those spaces must be EVSE enabled. Q: Who will be enforcing the new regulations? A: The building inspector is responsible for ensuring that 20% of the spaces are EVSE enabled. The electrical inspector will then determine whether or not the installed charging apparatus is OESC compliant. Q: Where can I get more information if I need it? A: The Ministry of Municipal Affairs plans to release additional technical guidance as it becomes available. Because all work to install electric vehicle charging stations must be done by licensed electrical contractors many of them have questions regarding the impact these regulations will have on their profession. Here are some questions and answers that may help clarify the situation. Q: What constitutes electric vehicle supply equipment? Q: Do the new regulations stipulate precisely where conduit and the termination of conduit for EVSE must be located within a given garage? A: No. The building inspector is only concerned with whether the charging apparatus exists as per the new regulations. It will then be up to the electrical inspector to determine if the newly installed equipment complies with Ontario Electrical Safety Code regulations. Q: How much leeway does the building owner have when it comes to supplying EVSE? A: Some. If for example the permit applicant wishes to provide a 200 amp panel together with an energized plug to deliver Level 2 charging capability, that would exceed the minimum requirements of the building code. Q: What are the different charging levels? Level 1: A standard wall outlet with 110V of AC power and 15A circuits. This is the slowest form of charging for an electric vehicle. Level 2: Standard EVSE is level 2. Level 2 chargers are 240V AC power at 30A. This type of charging system is typically about twice as fast as level 1 charger. Level 3: Often called “superchargers” level 3 charging delivers 480V of DC power. 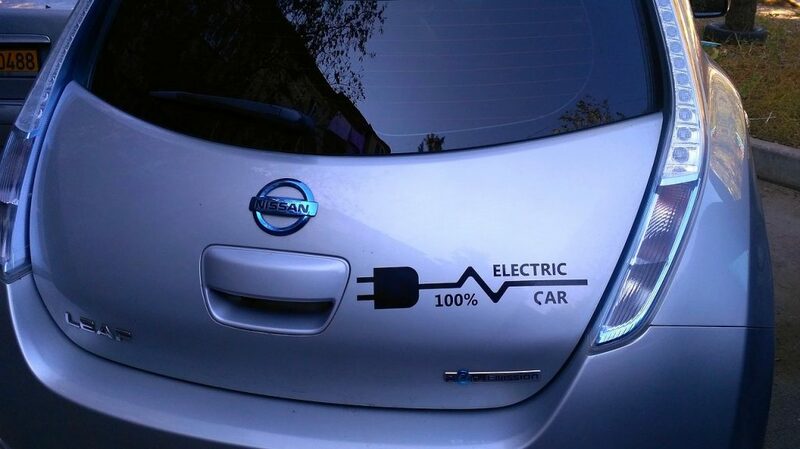 With this type of charger a typical EV can obtain an 80% charge in about 30 minutes. Q: The new regulations stipulate that the remaining 80% of parking spaces need to be designed to accommodate future charging. What exactly needs to be provided to ensure these spaces are in compliance with this rather vague sounding directive? A: Unfortunately, the answer is as muddy as the regulation itself and compliance or lack thereof will likely need to be determined by the building inspector on a case by case basis. If the builder simply includes sufficient space for the later installation of the requisite electrical infrastructure the building inspector may consider this being in compliance. This may include, for example, installing conduit between floors that can be used later to run wires from the panel to other areas of the parking facility should it become necessary to energize more than 20% of the spaces. The new regulations enacted by the Ministry of Municipal Affairs are intended to bring the province up to speed regarding the changing face of transportation in the 21st century. Just as the automotive revolution would have been impossible without the construction of a vast network of refuelling stations so too the EV revolution will require broad-based, convenient access to recharging stations. While there are still some details to be worked out such as how to handle payments for electricity consumed by private vehicles in public parking facilities and whether parking facilities in multi-unit apartment buildings should ultimately be subjected to these regulations the new regulations are an important step in the right direction and an important signal to our young people that their government is laying a sustainable foundation for their future.